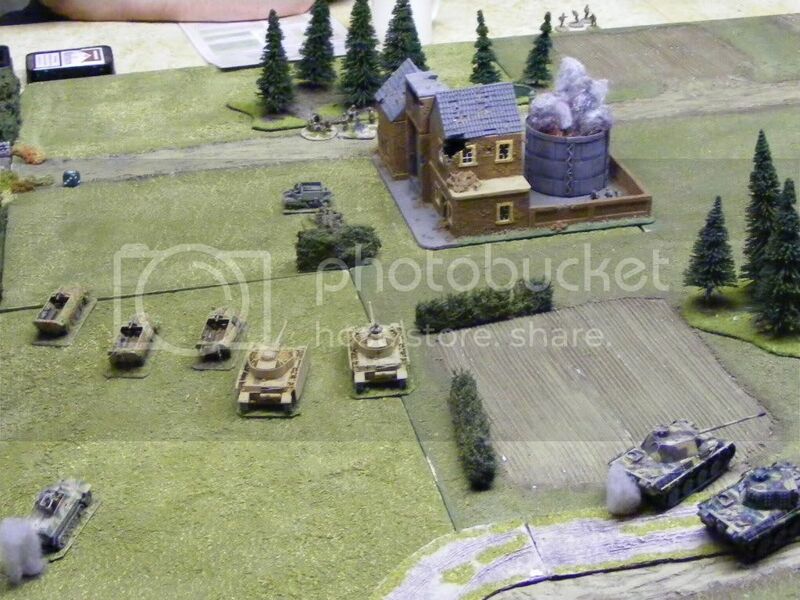 Allies approach the Factory, failing to chance observe the Panzerfaust toting Germans inside...heavy damage to the lead Sherman. 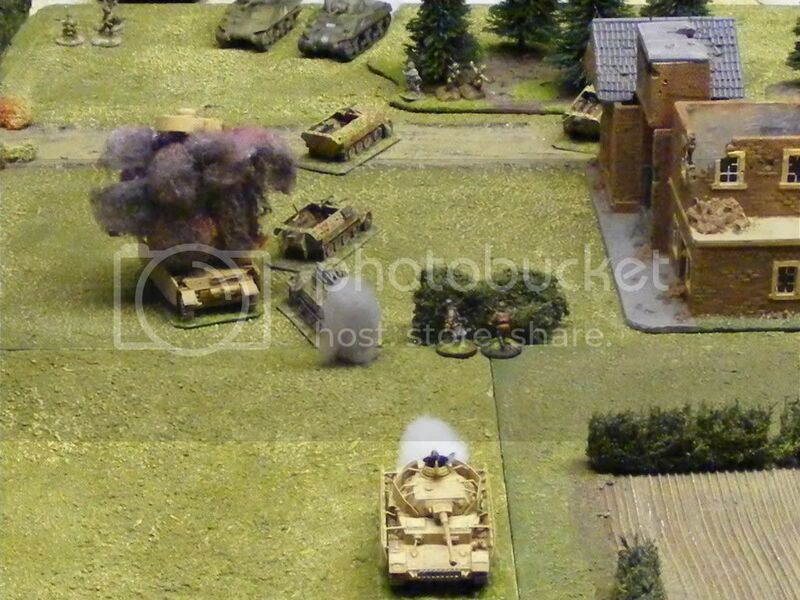 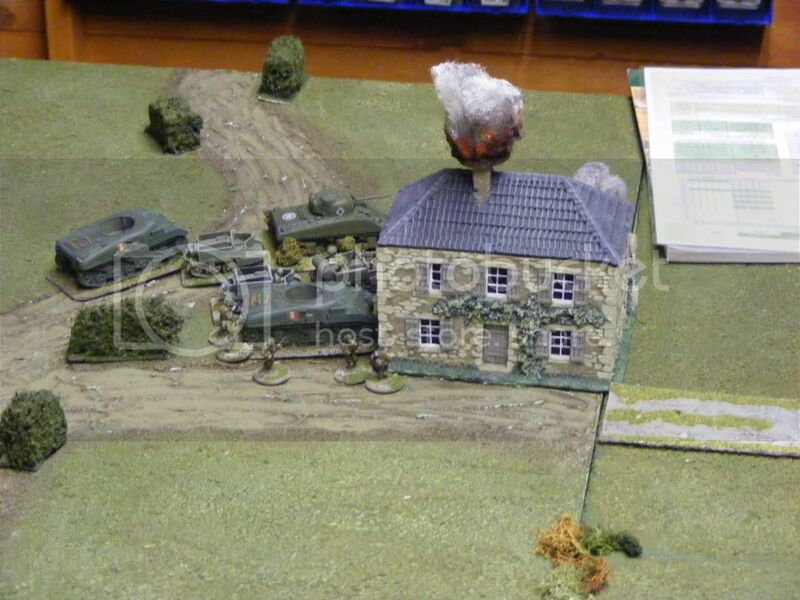 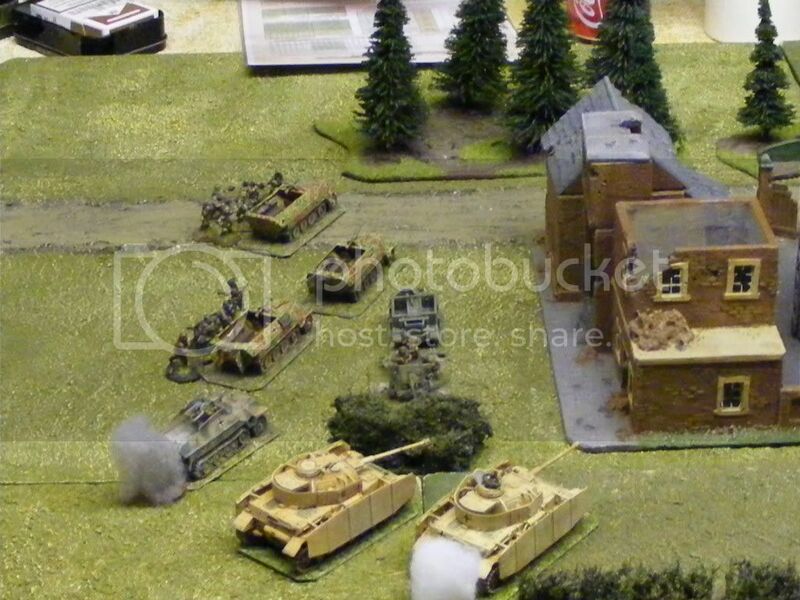 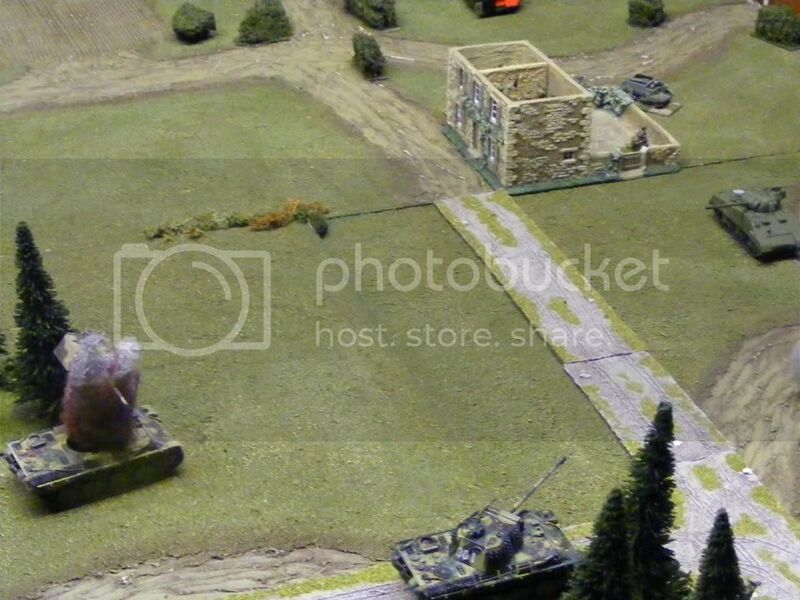 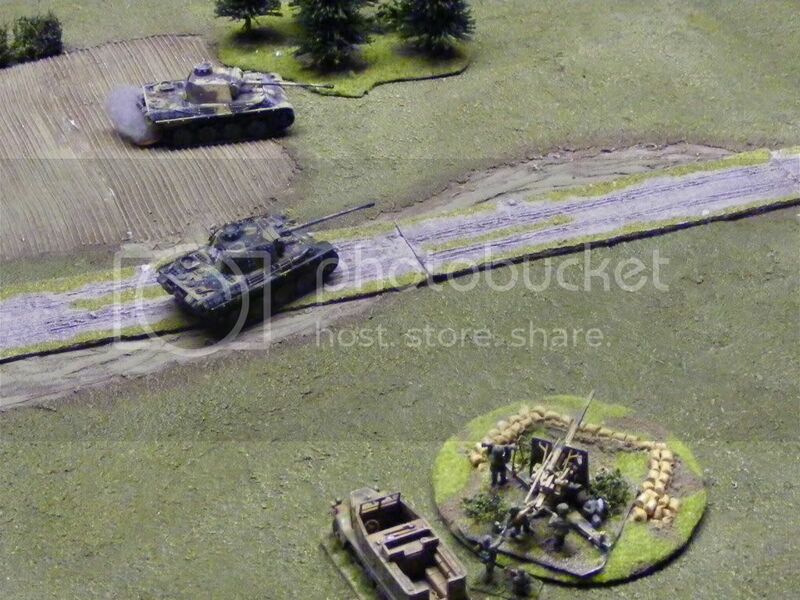 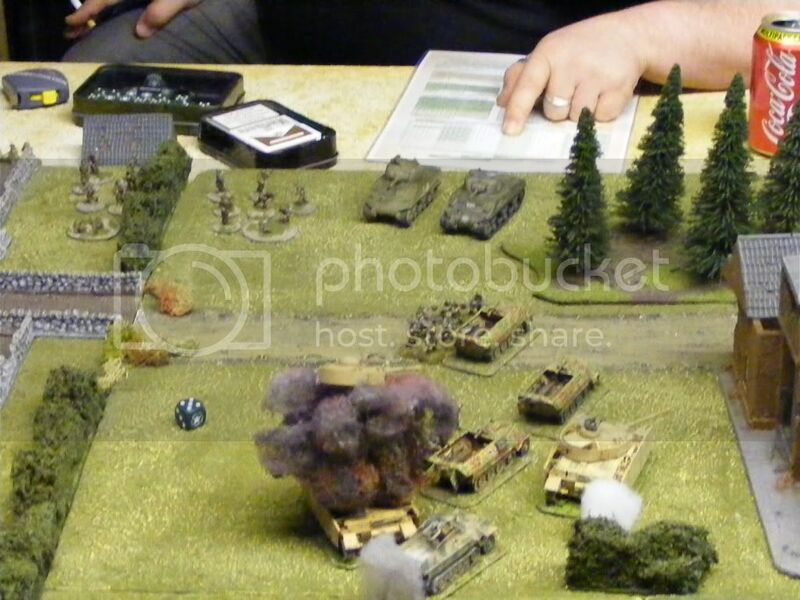 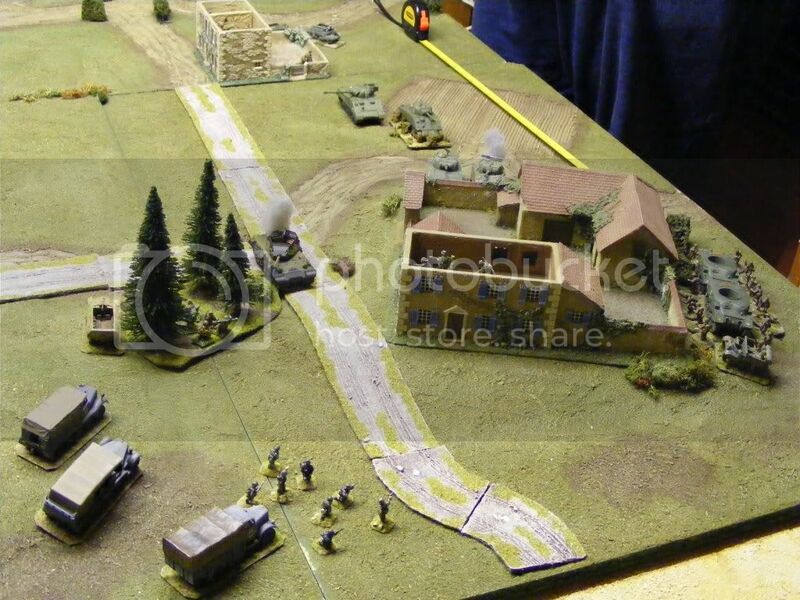 Allied armour sidesteps the Factory to avoid the 88 at the rear end of the table. 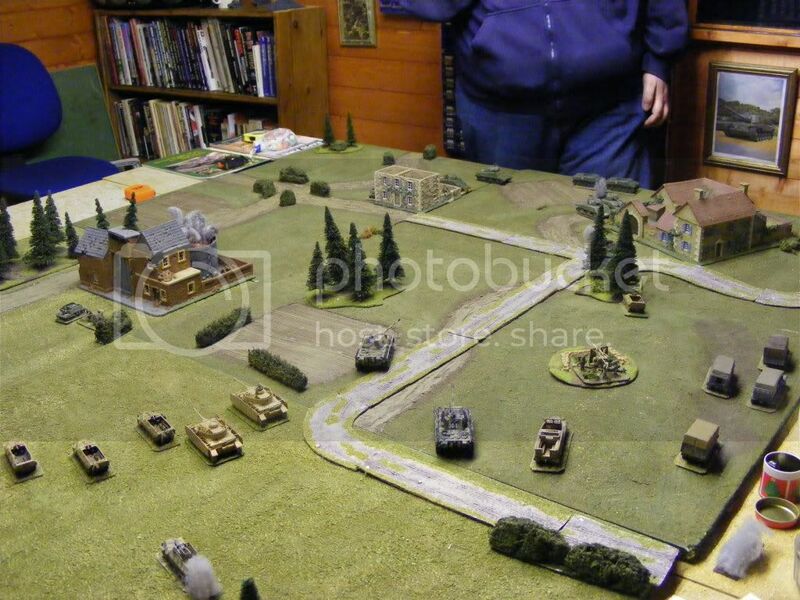 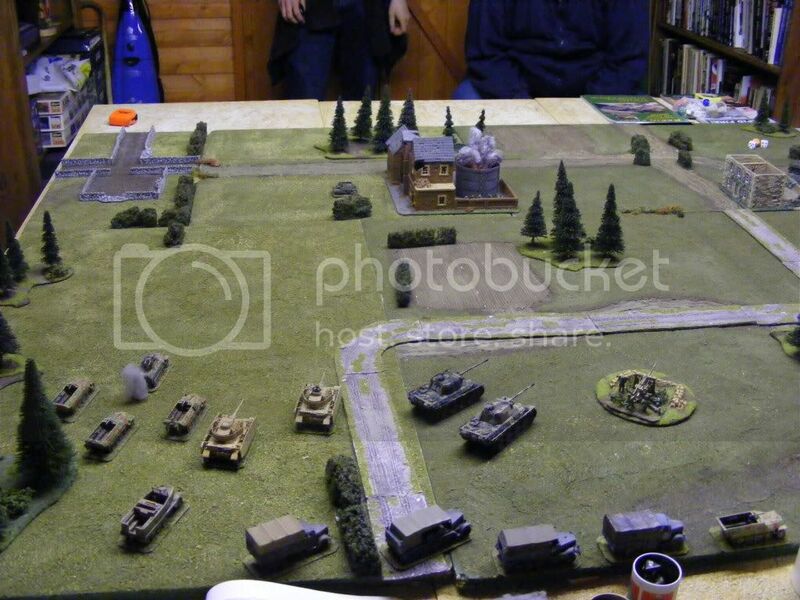 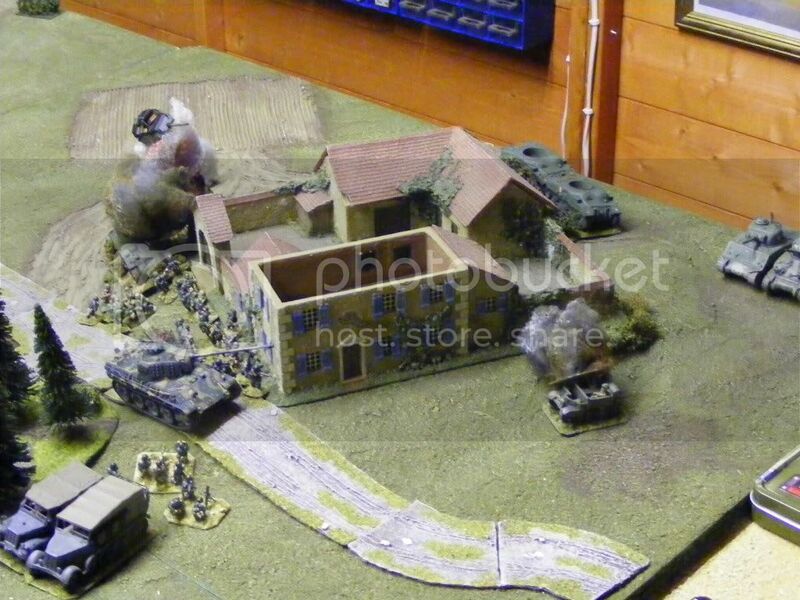 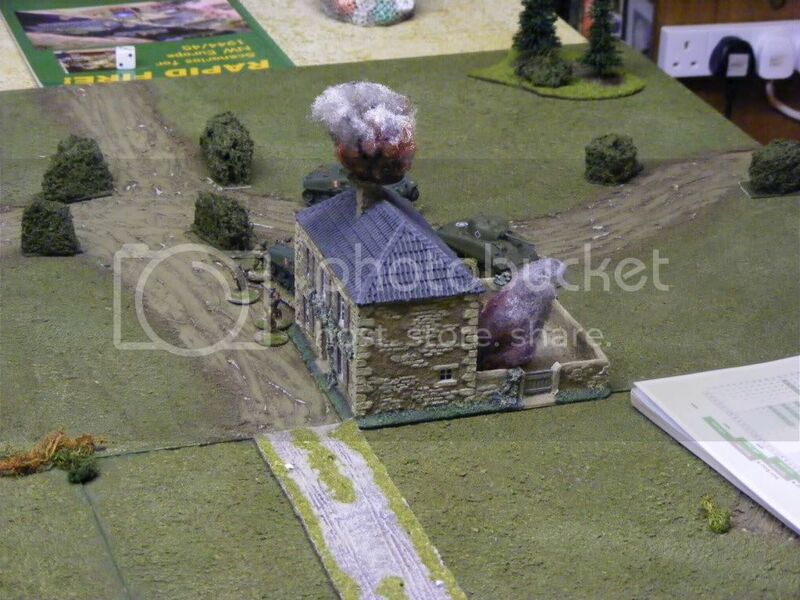 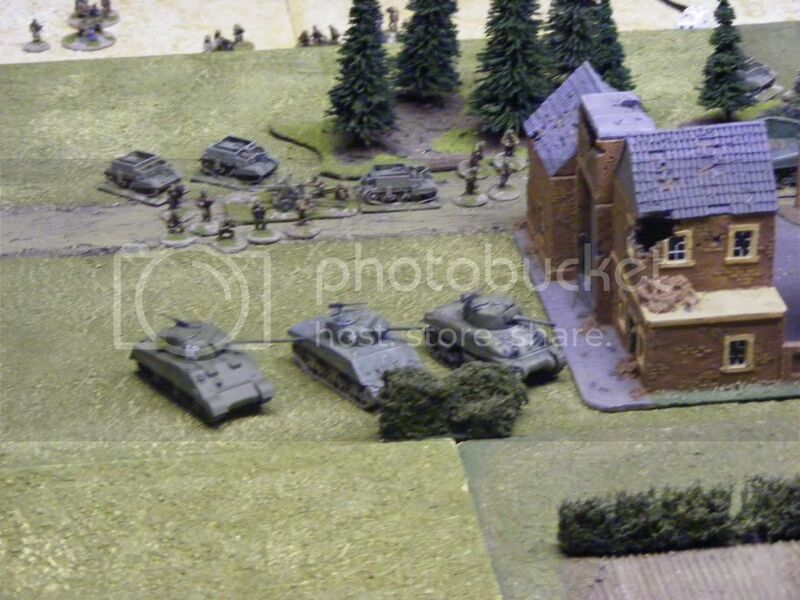 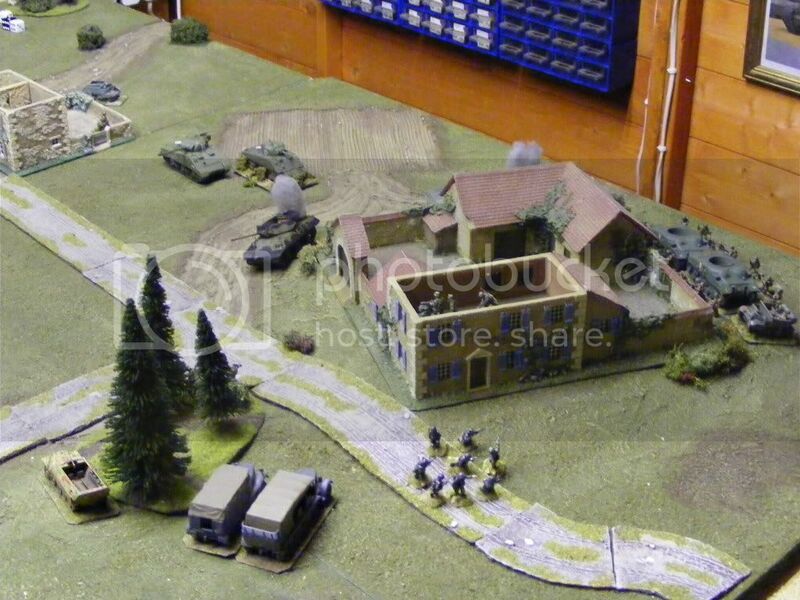 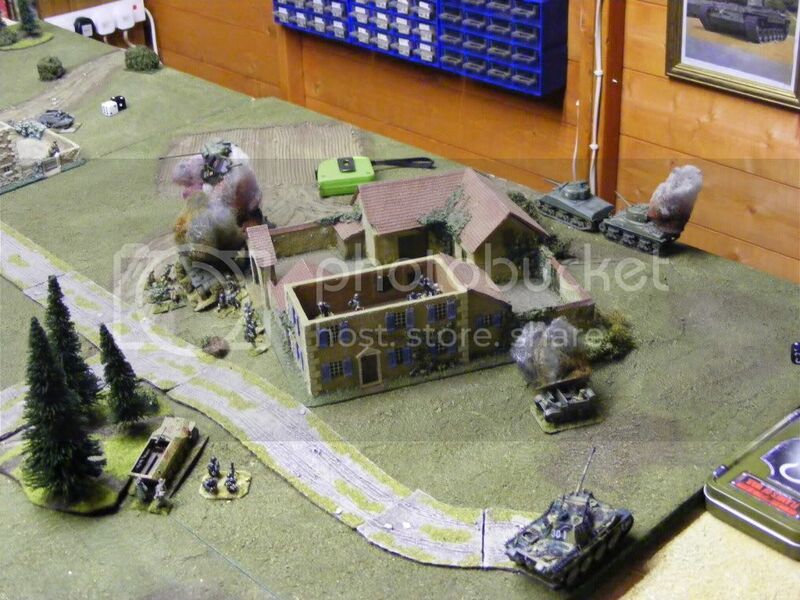 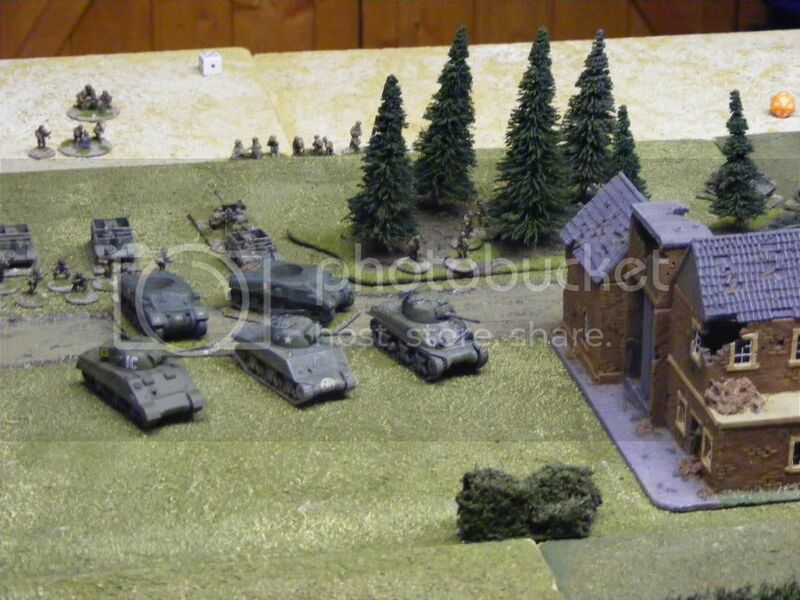 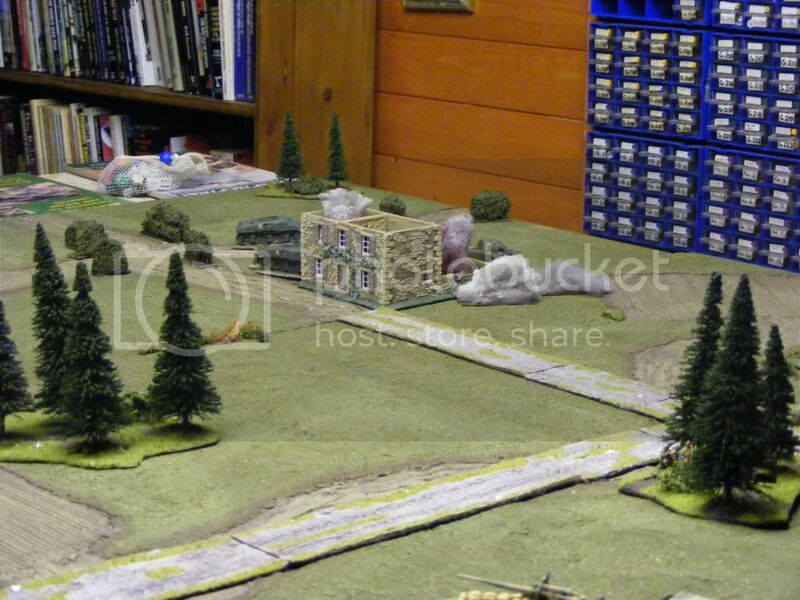 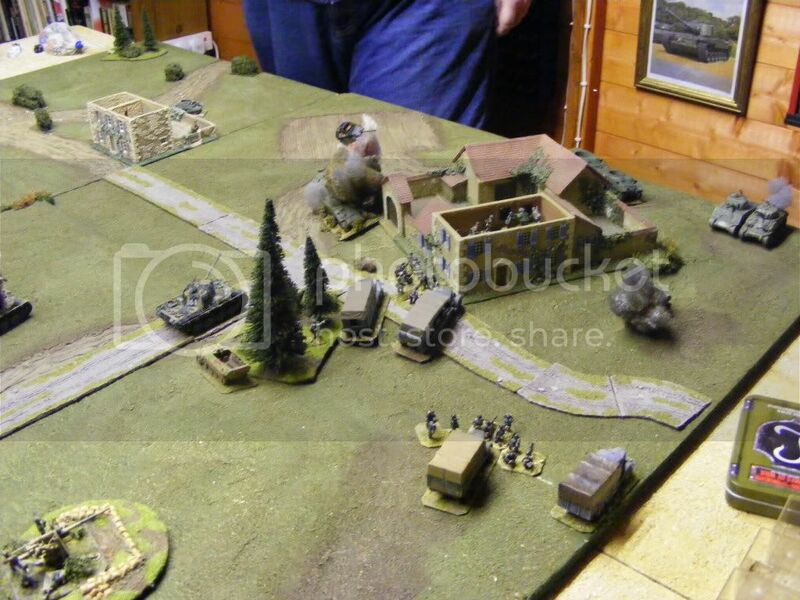 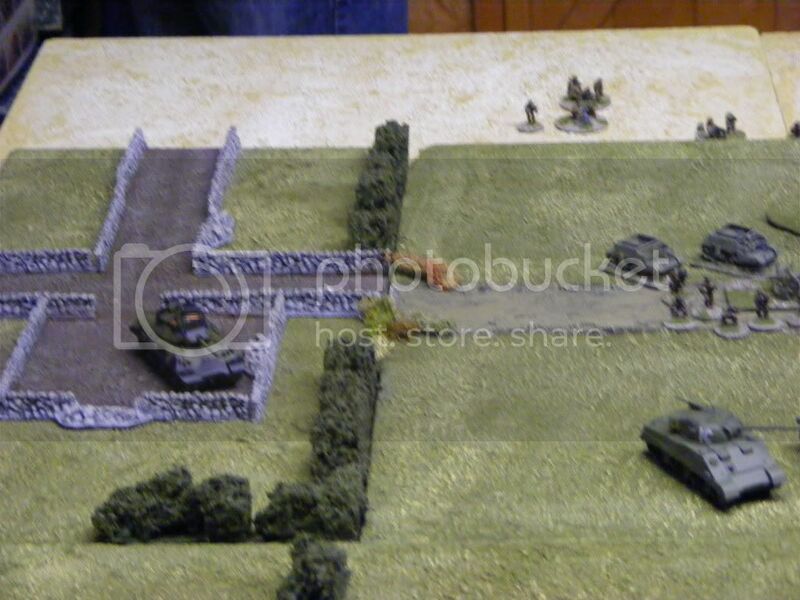 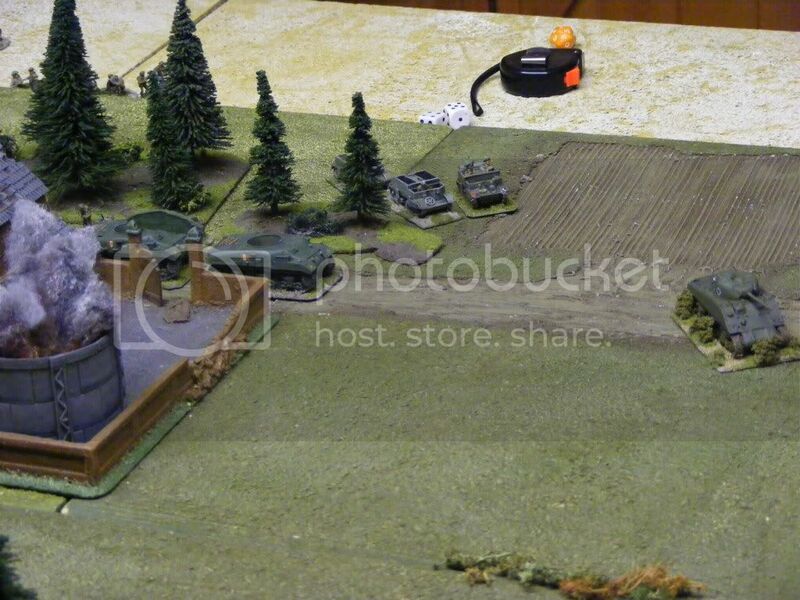 This also supports the left flank advance to the Scwahenhof, first stop the farmhouse. 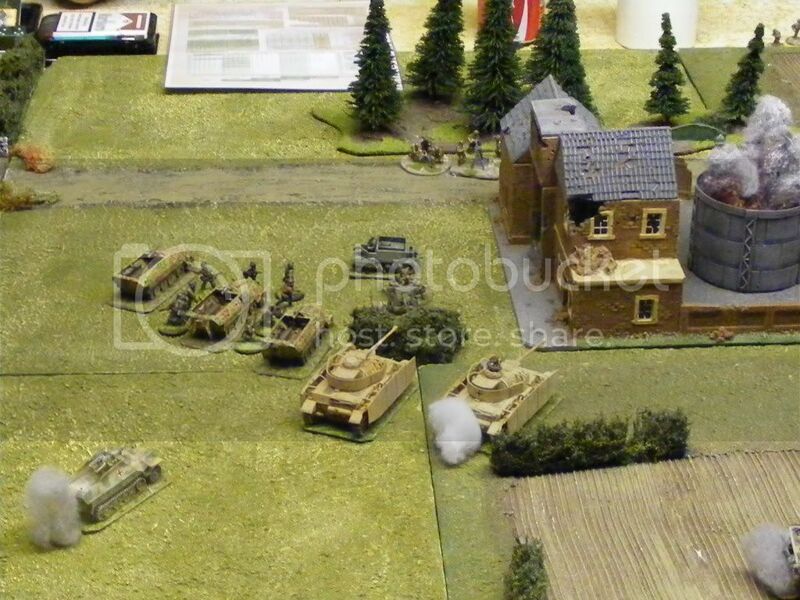 The assault from the Allies goes in on the Schwanenhof...just as the reinforcements arrive. 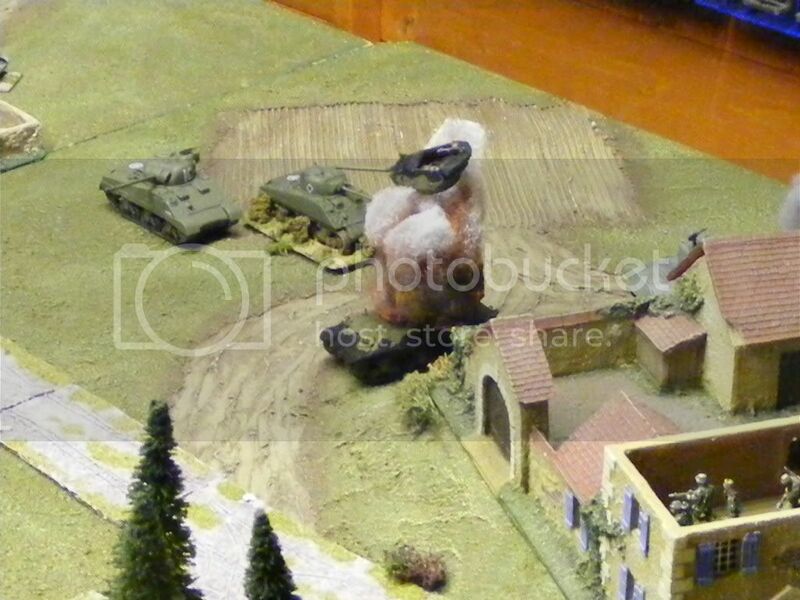 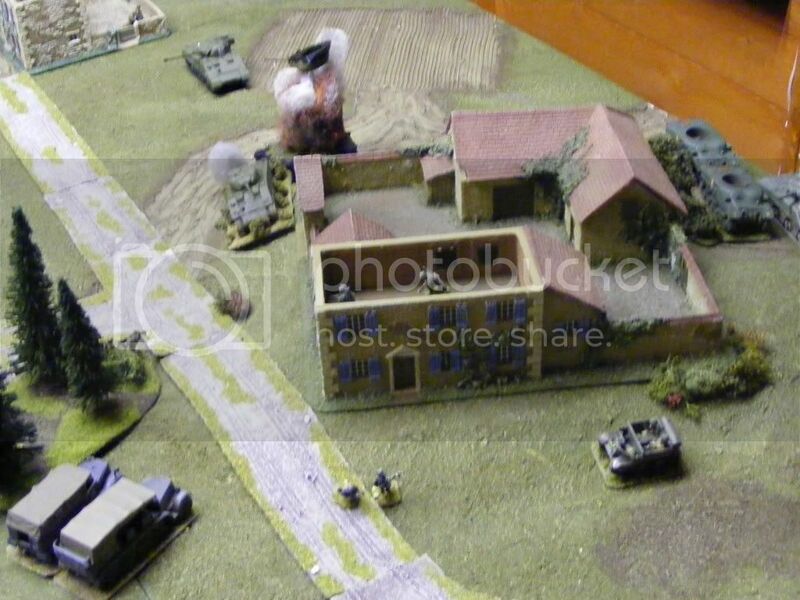 The Germans attack the Factory, and oust the defenders. 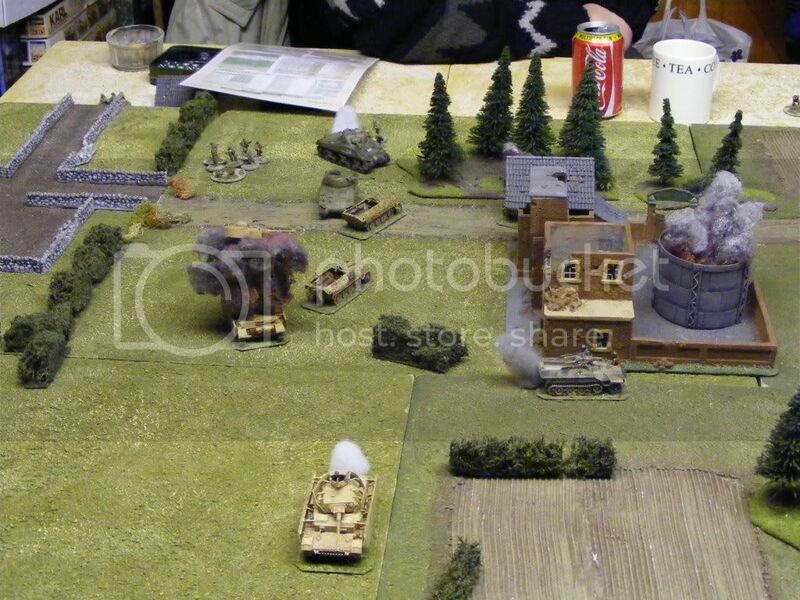 Another good game, of 2 halves, with nite falling negating the long range fire of all concerned in the second half. 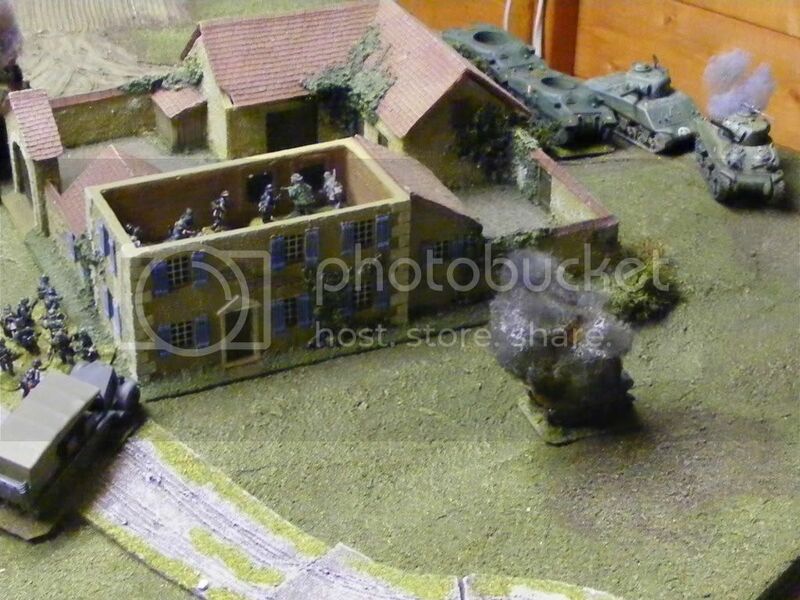 This caused all sorts of problems trying to oust infantry from buildings, (as obs needs to be re-established if they move out of los and then back into the building), and also negated the Allied artillery support. 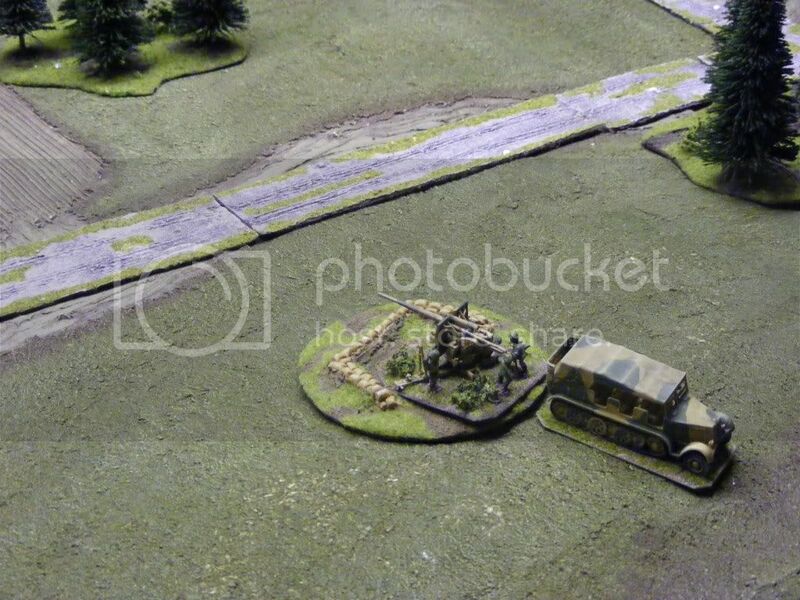 Keeping one's head down and not firing for as long as possible paid off for both sides. 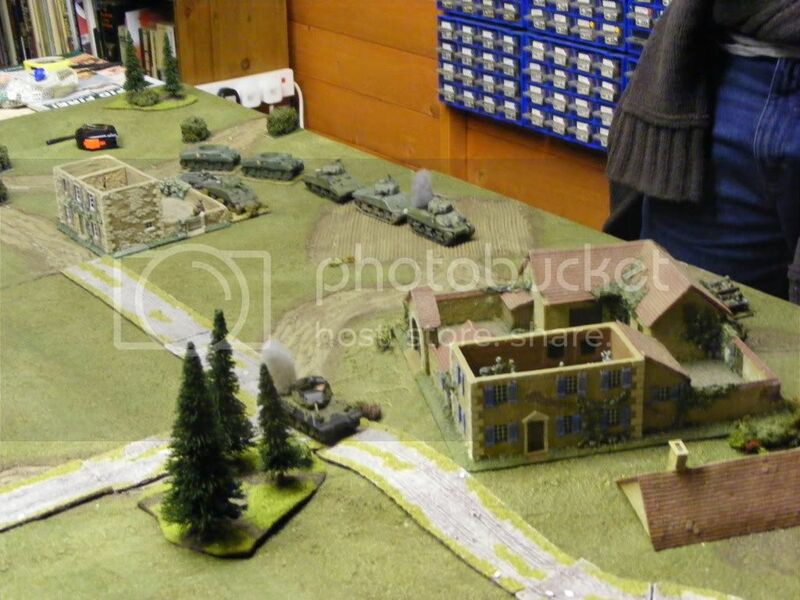 End result a draw, as neither side got both of the objectives. 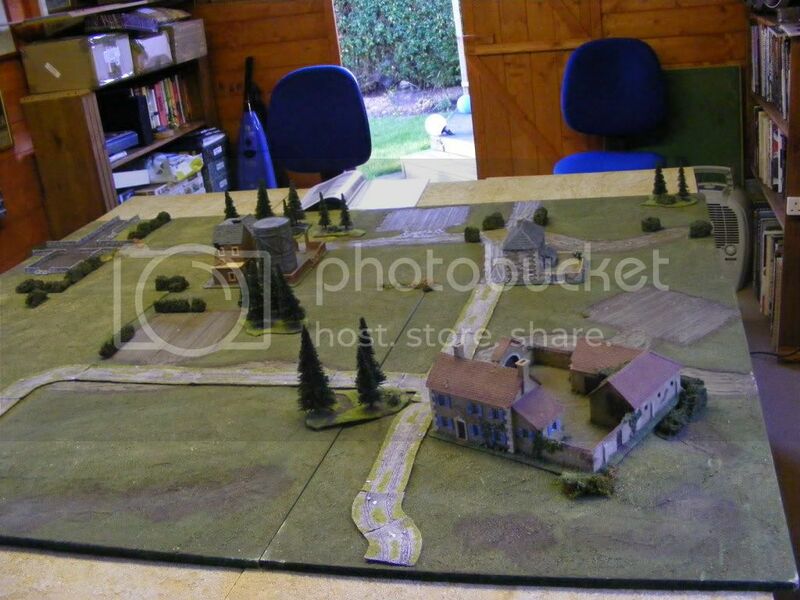 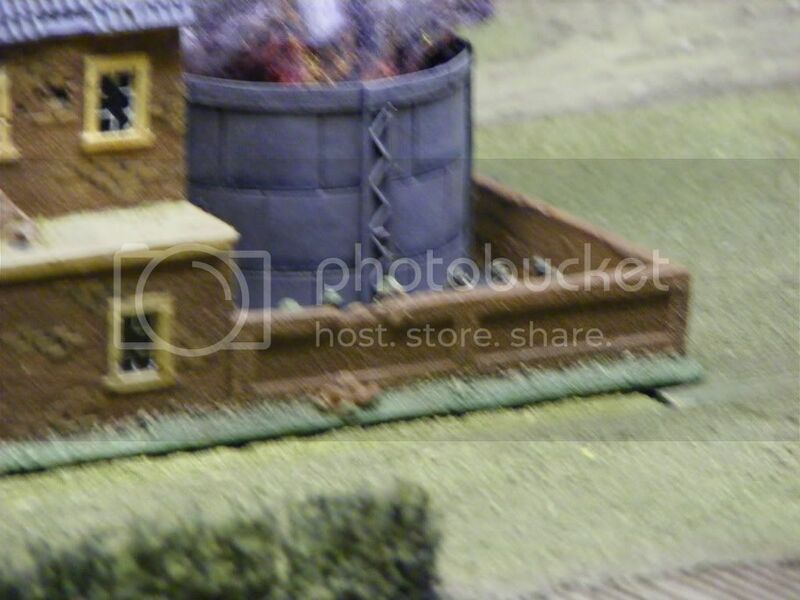 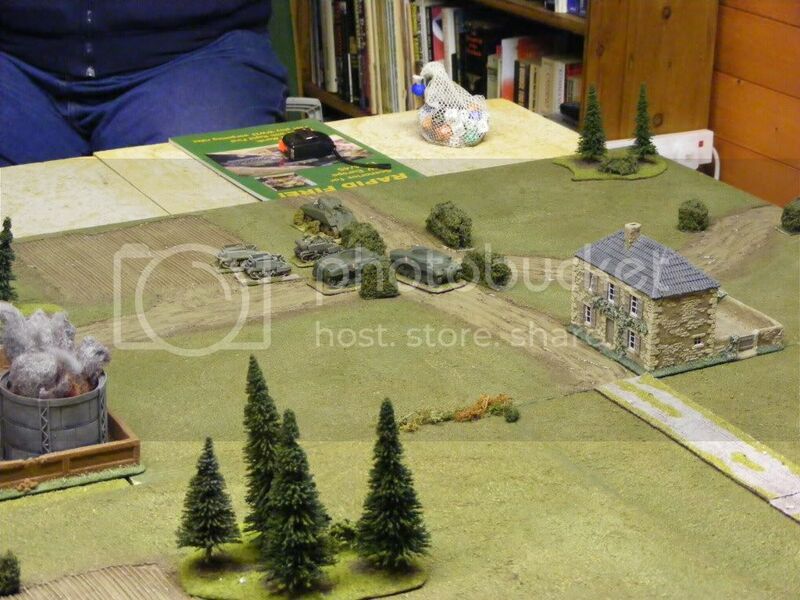 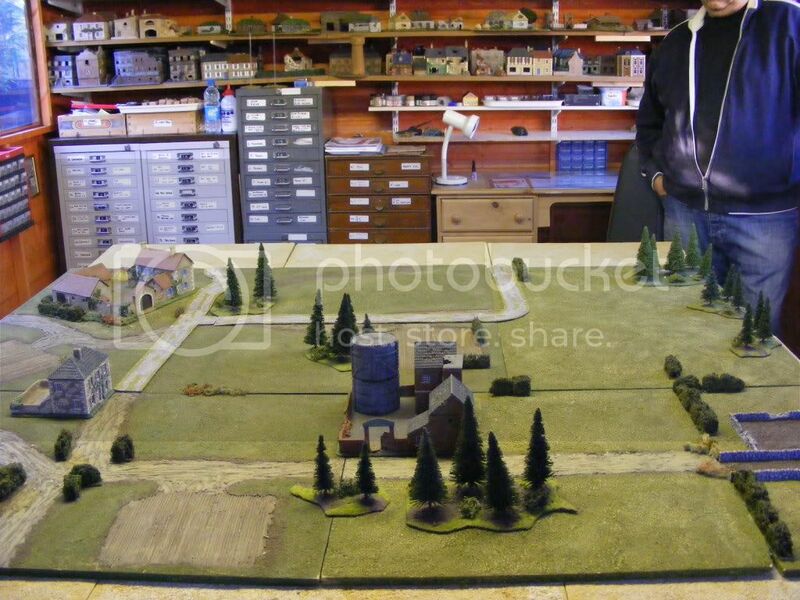 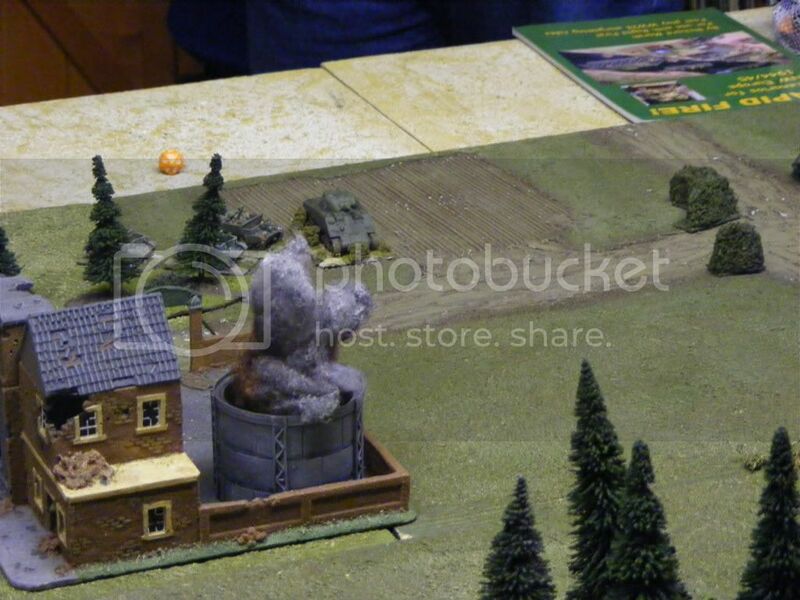 whoa..good looking game..what make is that slighty Hougmont looking farm, it has caught my eye..